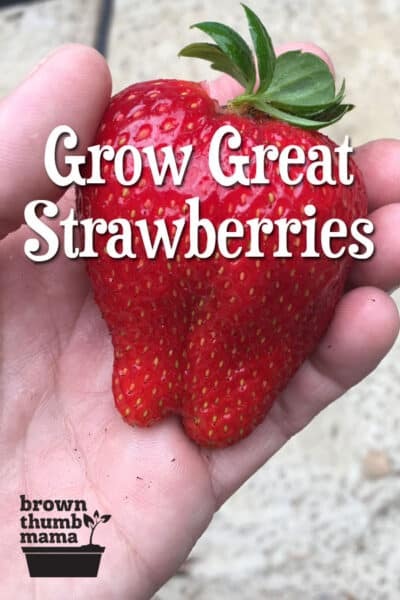 Strawberries are super-easy to grow, but there are a few important tips to keep in mind. Here’s everything you need to know to grow strawberries in your garden. With two ravenous kids, strawberries are so popular around here that they’re practically considered a food group. We eat them right off the plant; we make strawberry freezer jam, strawberry popsicles, strawberry lemonade, strawberry fruit leather, strawberry shortcake…you get the picture. 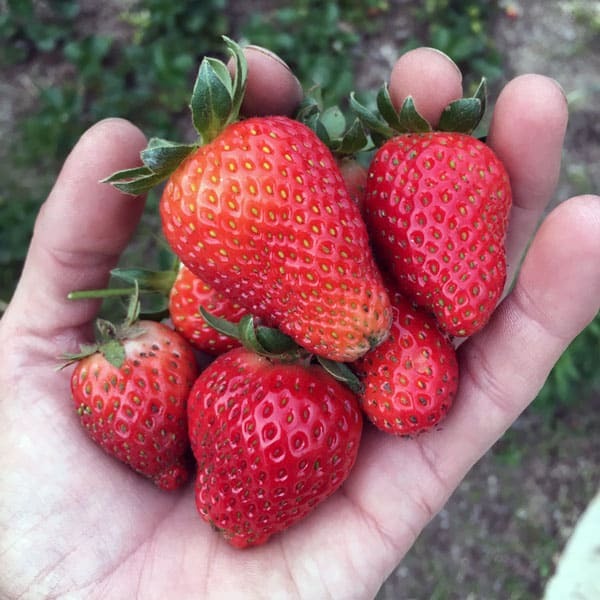 From years of experience, here are my best tips for growing strawberries in your garden. There are three main types of strawberries: everbearing (also called day-neutral), June-bearing (also called short-day), and alpine. Everbearing produce from spring through fall; June-bearing produce a large crop in spring; and alpine strawberries fruit intermittently all summer. If you’re growing strawberries for strawberry freezer jam, you’ll want to plant a June-bearing variety so they all come ripe at once. Some alpine strawberries are white or cream colored, and have a more tropical flavor than the traditional strawberry. Some kids love this and some think it’s weird, so be prepared! Tip 1: Plant both everbearing and June-bearing strawberries so you have enough for jam and to eat fresh all summer. Choose a sunny area for your strawberries, because they need at least 6 hours of sun per day. We planted ours in a corner of the yard near the path to the front door. Every time the kids walk by, they grab a strawberry to munch on. Strawberry plants need lots of water, but the berries can spoil if they sit on the wet ground. Drip lines or soaker hoses are great, as is watering first thing in the morning. Keep an eye on the soil so the roots don’t get soggy. If you’re growing berries in pots, check daily to make sure the soil hasn’t dried out. I confess that I laughed when my dad bought me a box of these strawberry support gizmos…but now I’m completely sold. They keep the berries off the ground, make it easier to weed, and they help keep the snails and slugs away. You put the two pieces together around the plant, so you can use them even if you’ve already planted. 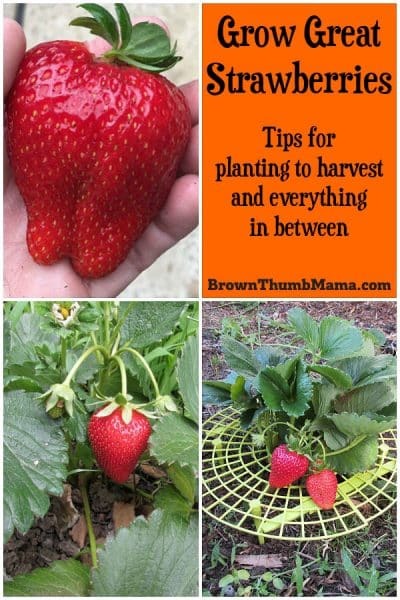 As you can see, each plant will produce multiple strawberries–so you’re well on your way to growing gallons of strawberries just with a few plants. 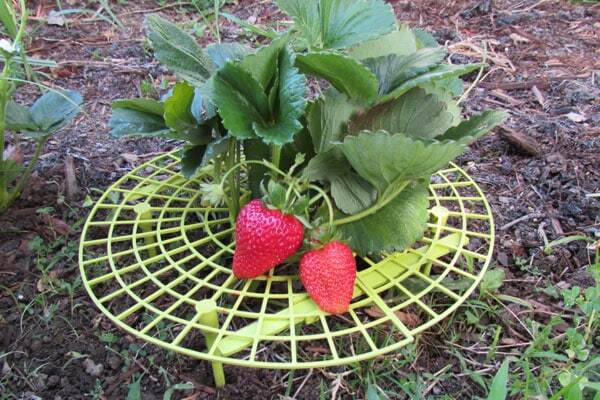 Tip 2: Keep your strawberries dry and bug-free with this nifty support gizmo. Strawberries are pretty hearty and don’t need fancy stuff added to the soil. Before planting, I till the soil with my Mantis tiller and add a little compost. If your soil contains a lot of clay and doesn’t drain well, it will be easier to grow your strawberries in a container. Use a couple bags of my favorite organic potting soil and you’ll be ready to go. There are three ways to plant strawberries—in rows, hills, and containers. 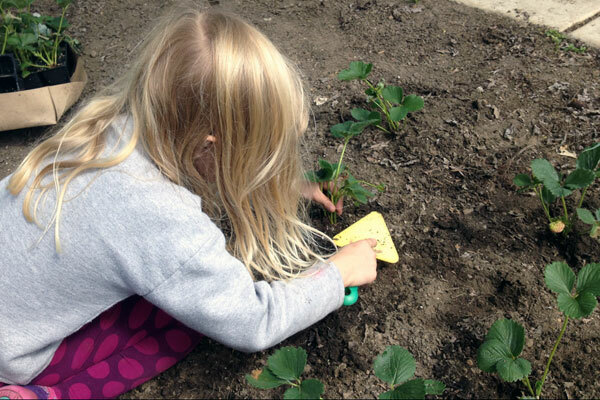 Plant your strawberry starts in fall and/or in spring as soon as the ground can be worked (a Planting Schedule comes in handy here). Space them 12-18 inches apart so they have room to grow and spread out a bit. 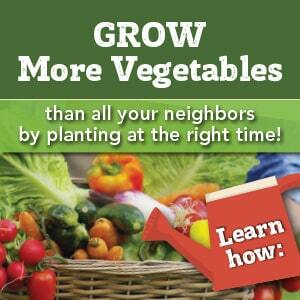 If you’re growing in rows or hills, you’ll need to do a bit of maintenance. 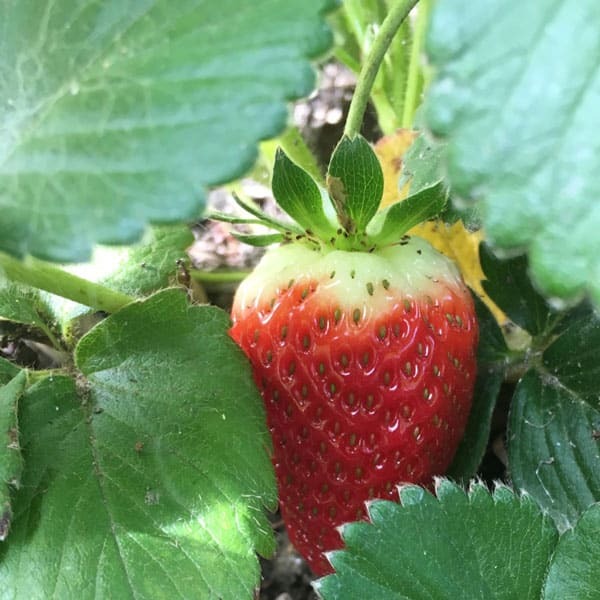 If the plants are too crowded they won’t produce good fruit—so as you’re munching your way through the strawberry patch, remove any dead leaves and berries you see. Tip 3: Keep your strawberry plants happy by removing dead leaves and berries. As the strawberries get established they’ll send out runners, or stolons. 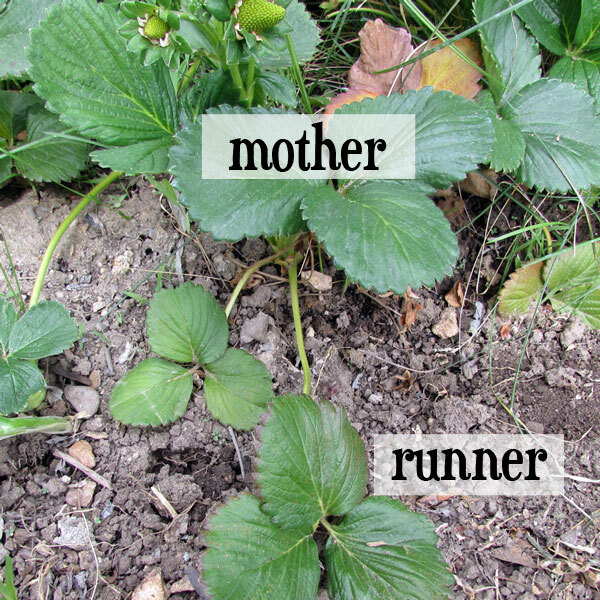 Runners are a long stem that leads from the main strawberry plant (the “mother”) to a new area of garden. A new strawberry plant will develop at the end of the runner, and once it gets established the stem linking the two plants will die. Hold on a minute now…I know what you’re thinking: “Hot diggity, I’ll just let the plants go crazy and send out a million runners. We’ll be overrun with strawberries in no time!” It sounds like a good idea but those runners will weaken the main plant. (Moms, you know what I’m talking about.) For the first year, pinch off any runners and remove them. Just keep the main plants. Kids are not the only ones that like strawberries. Snails, slugs, and earwigs are big fans as well. You’ll know you have snails and slugs when you find holes in the berries. Here are some ways to get rid of bugs in your garden. Don’t plant strawberries where you’ve previously grown tomatoes, peppers, eggplant, or potatoes. These plants can carry verticillium wilt (a soil-borne fungi) that will damage your plants. For this reason, don’t try to grow your strawberry patch by using runners from a friend’s garden. It’s best to buy healthy starts from a reputable nursery. Tip 4: To prevent disease, buy healthy strawberry starts from a nursery instead of getting plants from a friend’s garden. Did you know that (just like people) some plants work better together than others? 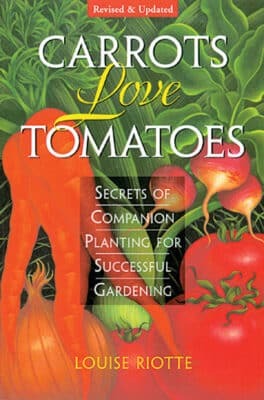 I learned this by reading the excellent gardening book, Carrots Love Tomatoes: Secrets of Companion Planting for Successful Gardening (a must-read for vegetable gardeners!). Strawberries grow well with chives, bush beans, spinach, and/or borage. Plant your brassicas (broccoli, cauliflower, cabbage, etc) in another part of the garden—strawberries will hinder their growth. Once your strawberries start ripening, you should pick them every couple of days. Only pick strawberries that are completely red all the way to the calyx (the green part). This little beauty needs one more day to ripen. For storage, it’s best to cut the stem instead of pulling it off the plant. However, if you’re eating them immediately, like the kids do, the pull-and-munch technique is fine. When picking, place them gently in a bowl to prevent bruising and spoiling. Store in the fridge for a day or two before eating or preserving. Yum! I buy plastic paper plate holders at the Dollar Tree, cut out the center and pull the plant up through the middle. Strawberry platforms for 25 cents each. Can strawberries be grown in a tropical climate?